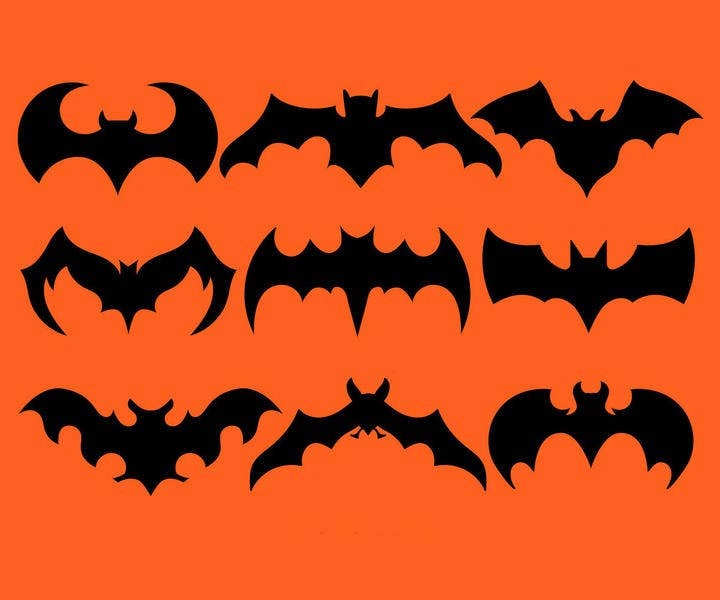 Bats are iconic symbols of Halloween, and so are often part of Halloween template designs. But what makes bats so scary that they’ve become unofficial mascots of this particular holiday? How did they even get associated with Halloween in the first place? The answer is rooted in both superstition and biology. One academic theory states that when immigrants from Ireland and Scotland first settled in America, they noticed that bats tended to swarm together before the winter. This led people to associate bats with the fall season. 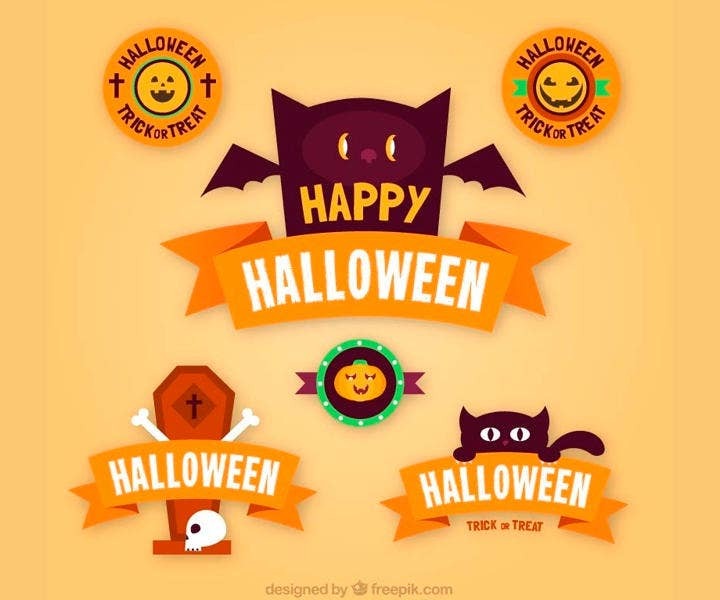 And since the Celtic festival of Samhain was usually celebrated around the same time, bats became part of the superstitious beliefs surrounding the holiday, which is the reason why they often appear in holiday template designs. It didn’t help that bats, being nocturnal creatures, were active at night—making it easier for the superstitious to believe that the little creatures were up to no good. Then Dracula came along, and the idea that bats could be vampires in disguise became part of popular culture, further cementing the old belief that bats were creepy. 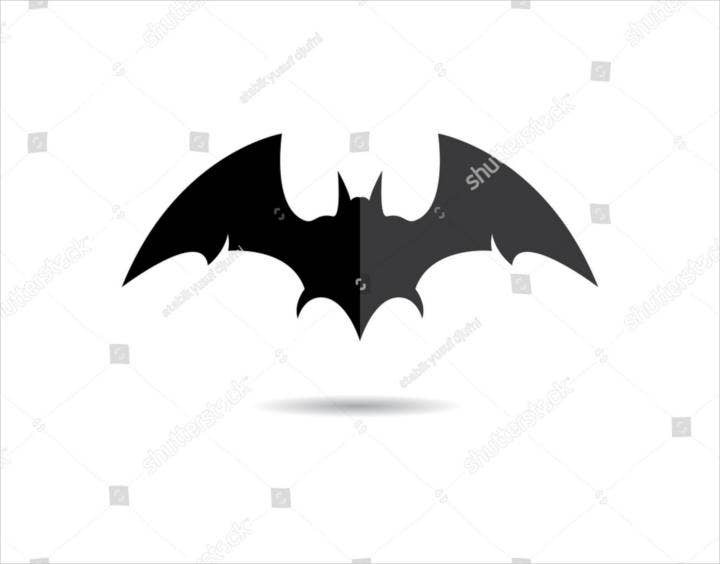 Of course, now we know the real reason bats usually swarm during Halloween is because they’re getting ready to muster into caves for their winter hibernation. However, bats remain as classic Halloween symbols along with carved pumpkins and ink-black cats. 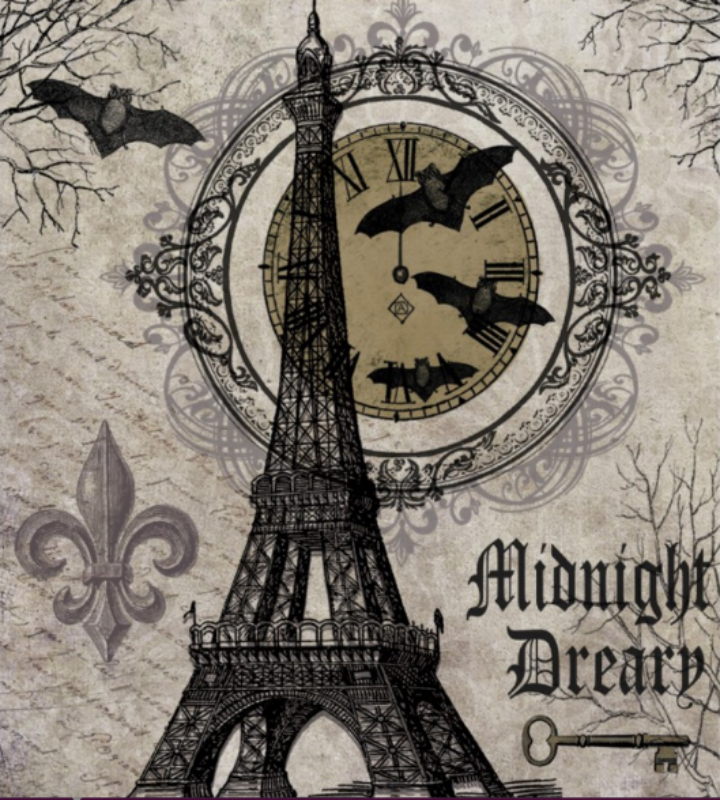 So if you’re getting set to celebrate the holiday, here are various Halloween background designs that feature bats and all other things spooky. Because even if bats are misunderstood creatures of the night, they’ll always be our Halloween favorites! 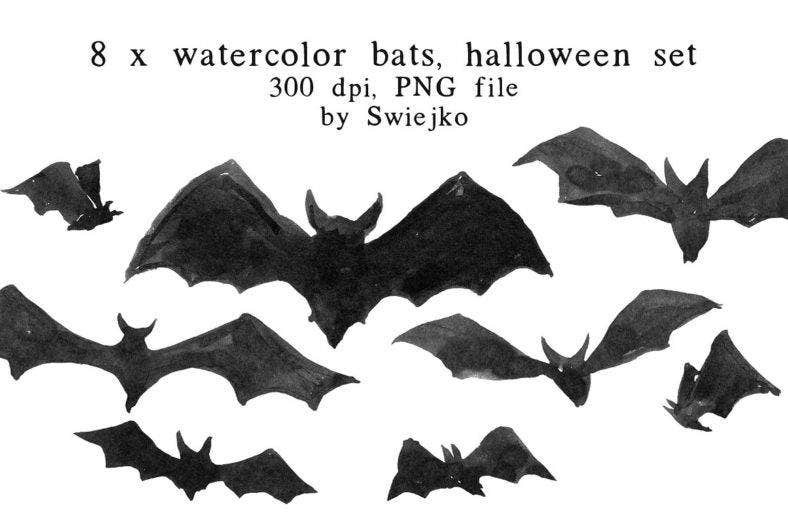 This lovely set of hand-painted watercolor bats is perfect for Halloween banner templates and greeting cards. 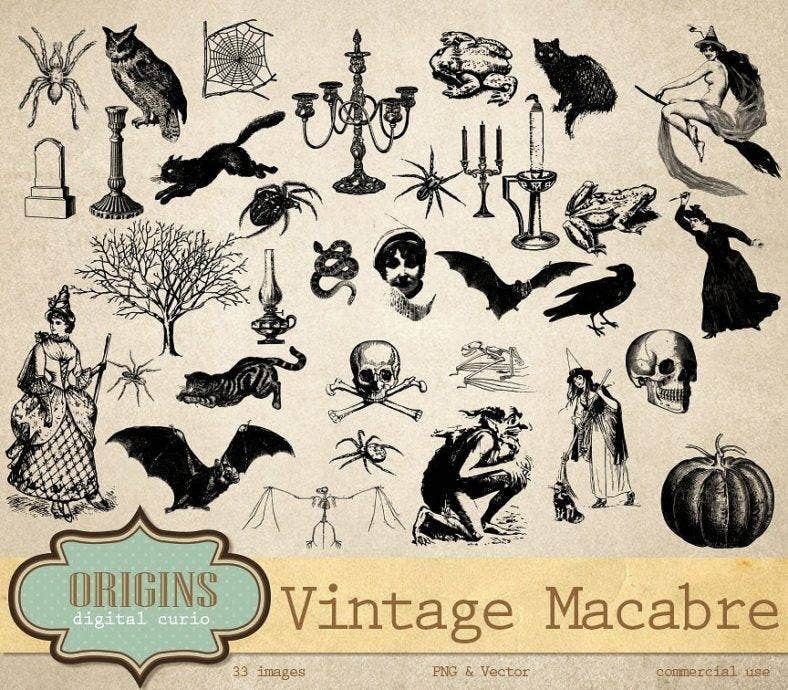 Go vintage with this Halloween graphic collection that features bats as well as skulls, pumpkins, and witches. 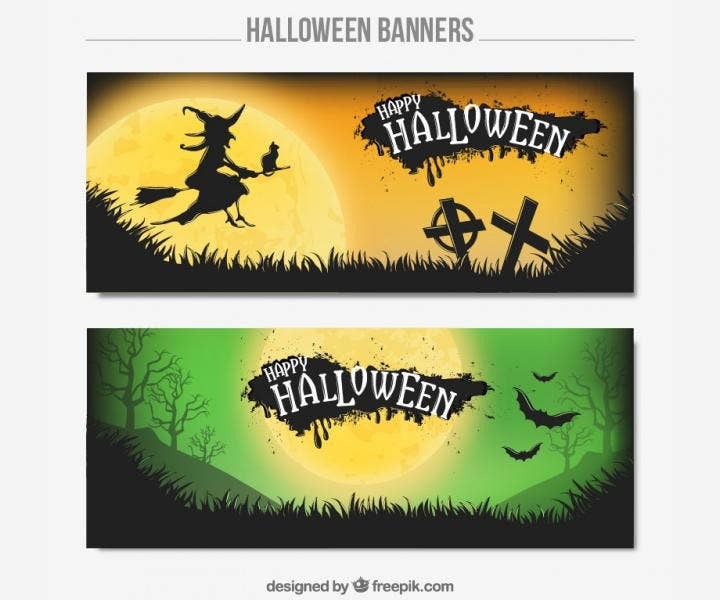 Pair the images with some scary fonts and you’ll be ready with a creepy Halloween theme for your party. This Halloween set features many iconic symbols—from cat silhouette shapes to spider shape templates. 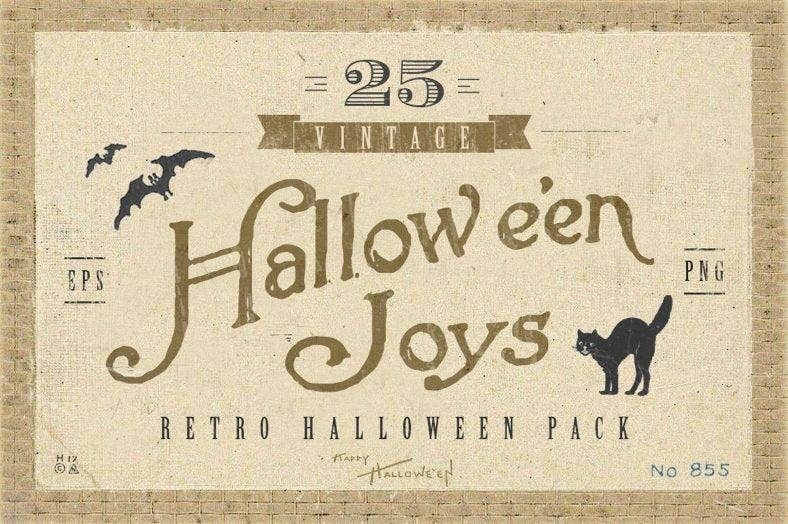 Nothing beats a retro Halloween look for a truly spooky time! 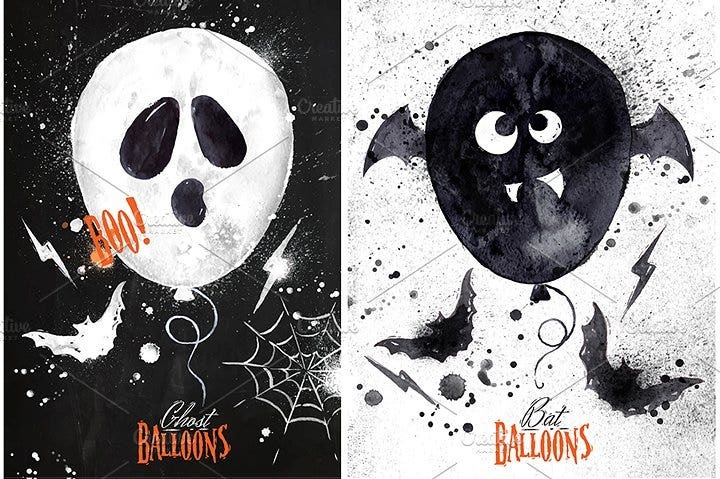 Use these simple labels for your Halloween posters and banners. Bats can be dainty-looking, too, with this watercolor design that’s perfect for greeting card designs. Get ready for a party with this vintage-looking invitation that features a detailed bat illustration. The Eiffel Tower isn’t just a symbol of romance. It can be creepy, too, as shown in this postcard design with a vintage theme. 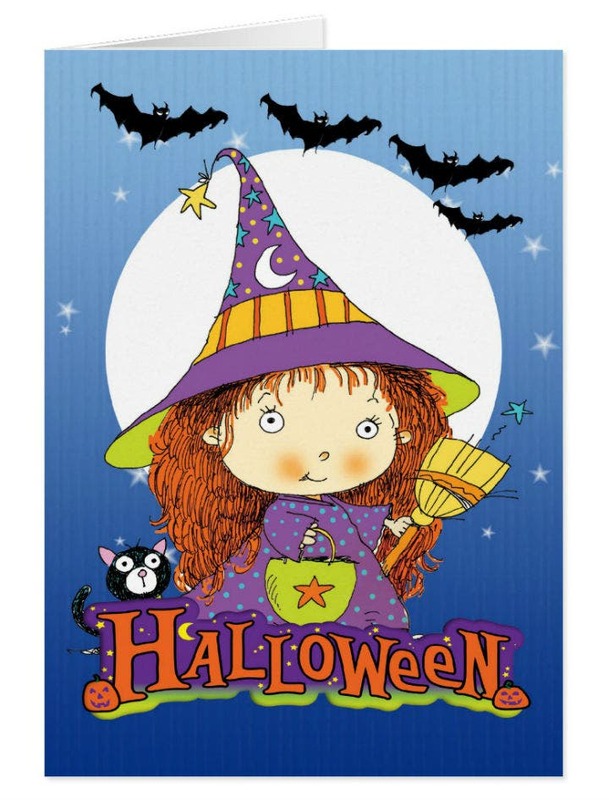 Make a greeting card for the little wannabe Halloween witch in your life before going trick or treating! 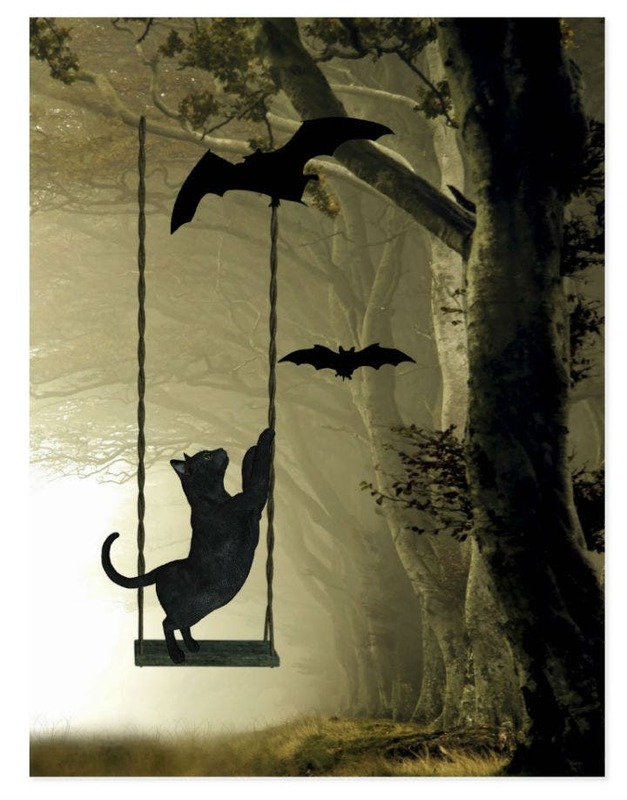 This postcard features a cat trying to capture bats, giving it a whimsical yet elegant feel. Let this little cute bat express your feelings for a loved one this Halloween! 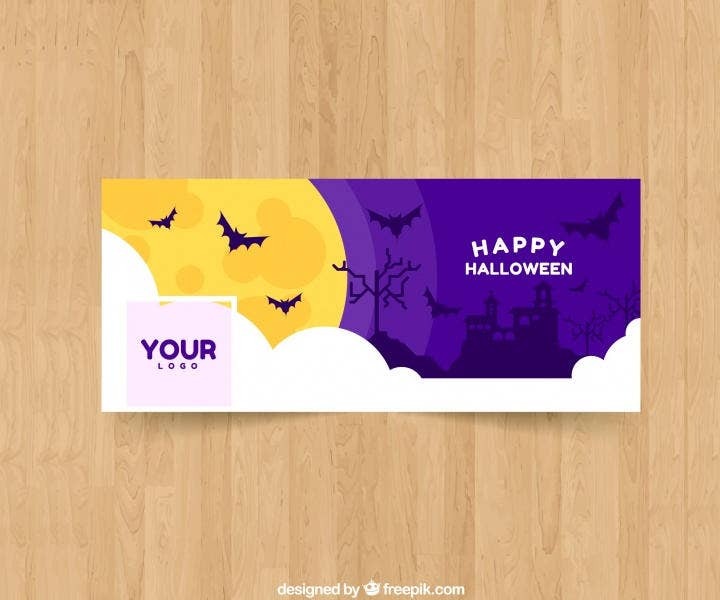 With all these great bat-themed templates, you can choose your favorite and start preparing for a memorable Halloween today. 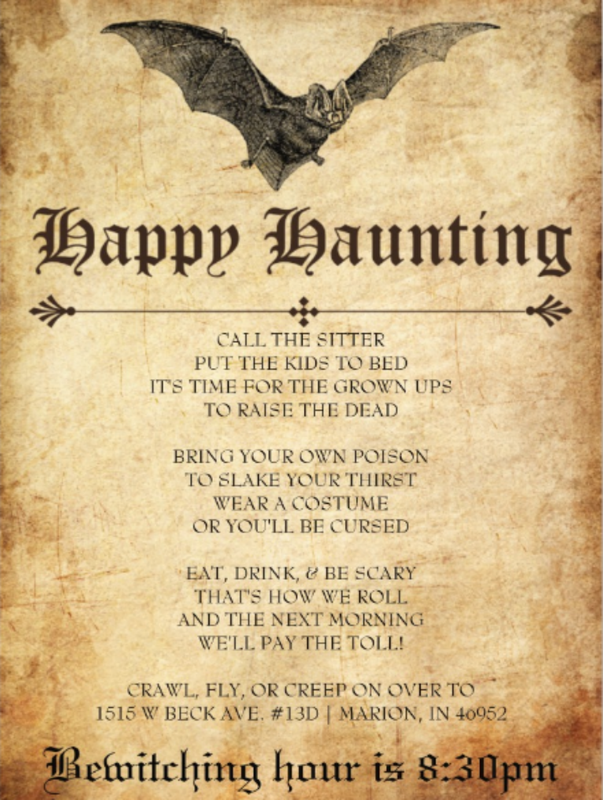 So pick your costume and makeup, and get ready for some spooky fun! You may also see scary zombie vectors.